I try to keep up with technology, but things keep rapidly accelerating. I am way behind, as the pace of change seems to be exponential, not just doubling every couple of years. It’s Moore’s law all over again (often cited, Gordon Moore’s observation that, over the history of computers, everything doubles every two years). Honestly, I rely on journalists and my young employees to keep me (even slightly) up to date. Yesterday’s news that Facebook acquired WhatsApp for 19 billion dollars has me wondering: mobile computing is incredibly pervasive, and if everyone is on their phone, how does the use of mobile devices affect the way that people interact with art? Questions have been floating around in my head for years now, as I try to get a grip on how people are viewing and interacting with art. That’s because we try in every way to reach our audience: website, blog, videos, and online publications. My gallery uses a lot of technology, though personally, I prefer art to be a direct, living and sensual experience. Is this working? And is it good for the artists? Is it good for the art? When we present an exhibition, far more people view it online than in person. We know this from the website data. We also know it anecdotally: “Oh, I saw your show online. What are you doing next?” is pretty much what I hear. I wonder, and hear others asking questions: How does mobile computing affect the way that the public interacts with museum shows? How does the rise of corporate-owned news aggregators in the arts affect the perception of art and the way that people see exhibitions? When people “share” art on social media, is that an effective way to communicate? What media translate the best in the new digital age? What does not? I missed out on the Whitney’s recent symposium and event about how the museum experience has been transformed by digital media, and wish I could know more about the ways that curators and art critics are viewing the topic. By the way, a tip of the hat to our friend Dan Phiffer, who developed a site-specific network that was used for the Whitney event. 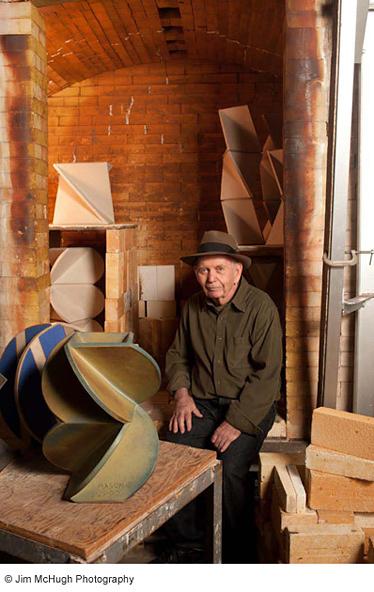 Otis College of Art and Design is planning a retrospective exhibition on the work of Ralph Bacerra. 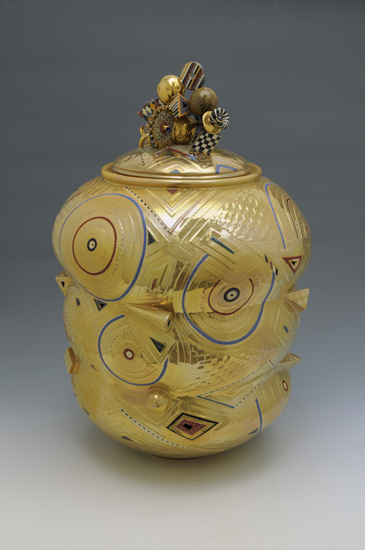 Titled Exquisite Beauty: The Ceramics of Ralph Bacerra, it will be presented in the Ben Maltz Gallery, and is scheduled to open in the fall of 2015. This recognition of Bacerra’s work is well-deserved, as Bacerra was a widely acknowledged master of elaborately decorative techniques. The exhibition will be accompanied by a fully-illustrated catalogue. For the installation of Los Gigantes, I included something new – a bench! Although I don’t often place benches in the gallery, this show motivated me to include one. The aesthetic of Los Gigantes is very spare, with only ten pieces on view. The works really fill the space though, and they all benefit from prolonged looking. For example, the more time a visitor spends with a Light Knot by Larry Bell, the more they understand the ephemeral, kinetic nature of the piece. Practically weightless, the Light Knot turns and sways with the slightest breath of air. Because it is so responsive to light and environmental conditions, the piece changes from moment to moment. I encourage people to sit down and study the pieces, rather than rushing through. From the bench installed in Los Gigantes, you will see a painting by Ed Moses, framed by two luminous wall reliefs by Craig Kauffman. The subtle, translucent colors of the Kauffman pieces beautifully complement the stained surface of Moses’ painting. Viewed together, the works illustrate the impact of shimmering, sensual color in differing media. I know I’ve posted artists’ portraits before, but I can’t resist sharing these great photos of the artists in Los Gigantes: Larry Bell, Craig Kauffman, John Mason, Ed Moses, and Peter Voulkos. These giants of the West Coast art scene were all photographed by Jim McHugh, who was kind enough to send us these images. 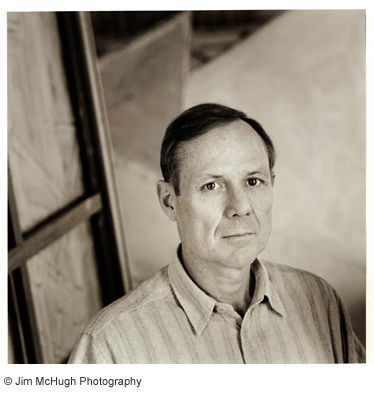 McHugh is a noted chronicler of contemporary West Coast artists and has published several books including California Painters: New Work, 1989 and The Art of Light and Space, 1993. 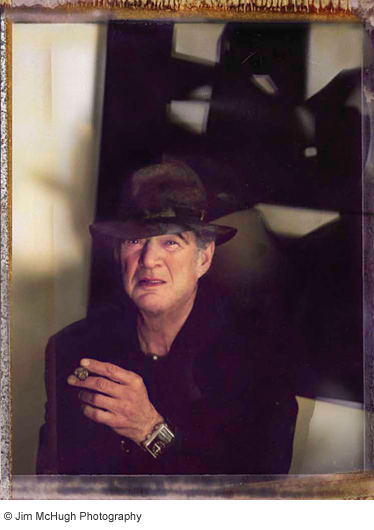 More recently, his work was exhibited by Timothy Yarger Fine Art, and was included in the Getty Museum’s Pacific Standard Time initiative. 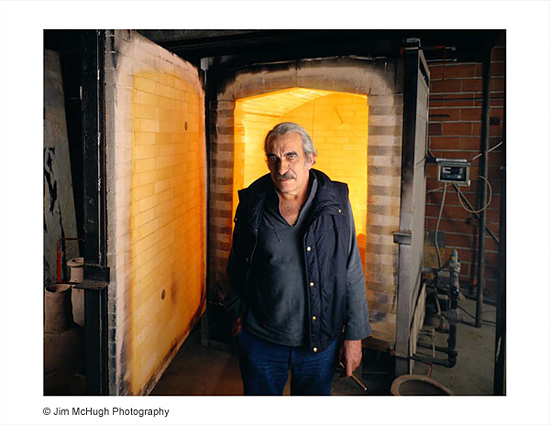 For over thirty years, McHugh has created compelling portraits of artists, capturing their individuality and offering unique views into their world. His respect and enthusiasm for his subjects and their work comes through in every image. 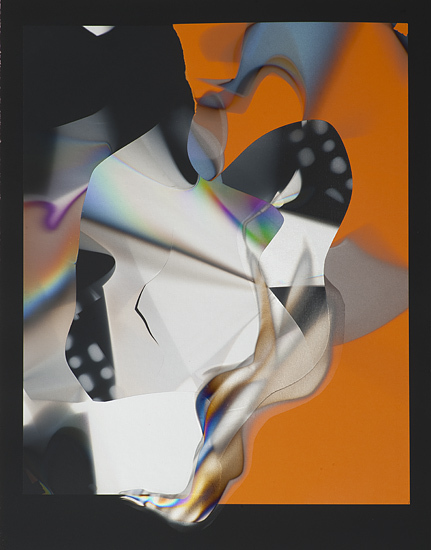 I’m happy to announce the opening of Larry Bell’s second solo exhibition with White Cube Gallery, in São Paulo, Brazil. 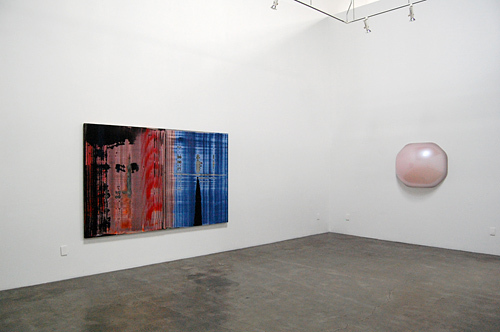 Bell first exhibited with White Cube London in the fall of 2013, with great success. Now, he’s been invited to participate in another exhibition, titled The Carnival Series, in São Paulo. On view from February 18 – March 22, 2014, this show is scheduled to coincide with the Brazilian Carnival season. This exhibition will feature a selection of works dating from the 1980s to the present. This includes ten Mirage Works, composed of layers of found papers, films and applied acrylic paint, which play on the artist’s persistent interest in spatial ambiguity and perception. The show will also feature a recent series of colorful collages that reference the female form. Three Light Knots will round out the presentation, their graceful forms suspended from the ceiling of the exhibition space. Made of Mylar, these sculptures are multi-dimensional, kinetic works that reflect, refract, and transmit light. It’s great to see Larry Bell continue to get such international exposure. 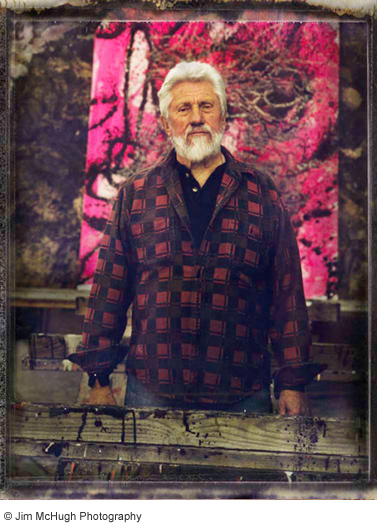 One of the most prominent artists to have come out of the 1960s Los Angeles art scene, Bell’s work is featured in major museums collections around the world, including: the Museum of Modern Art, New York; the Los Angeles County Museum of Art; the Museum Ludwig, Cologne; the Stedelijk Museum, Amsterdam; the Tate Gallery, London; and the Whitney Museum of American Art, New York.